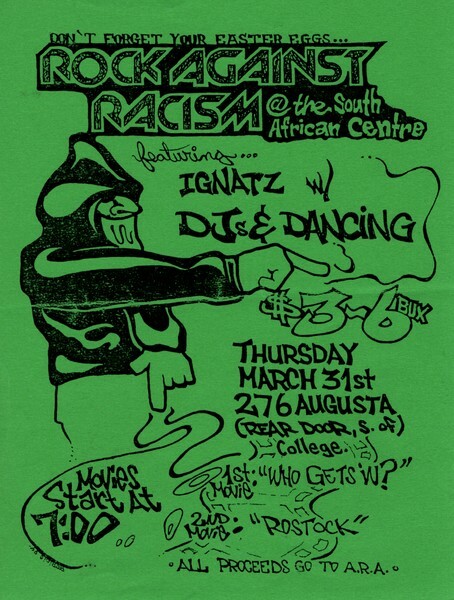 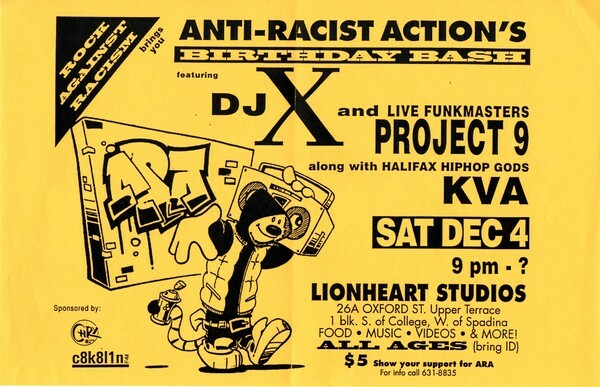 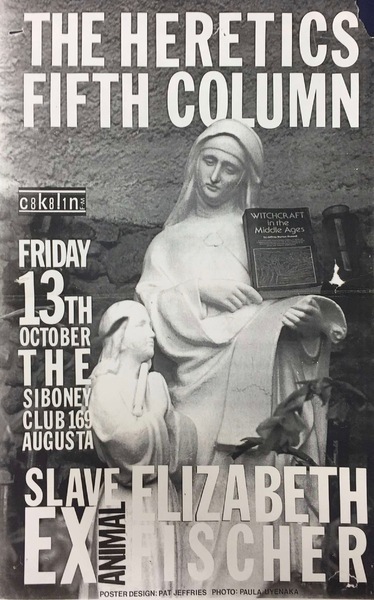 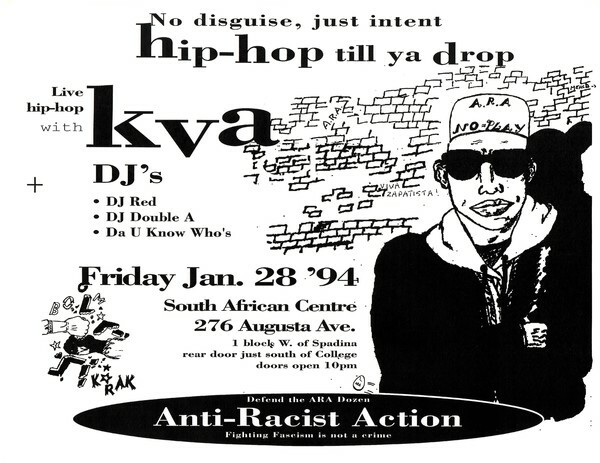 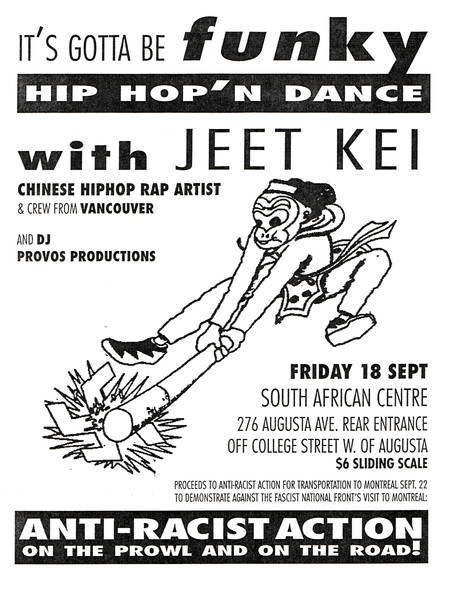 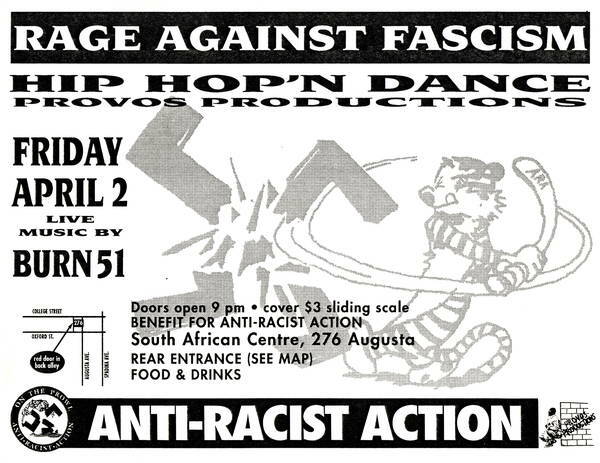 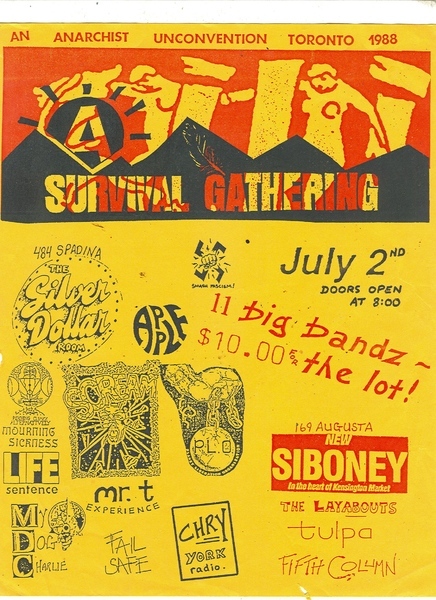 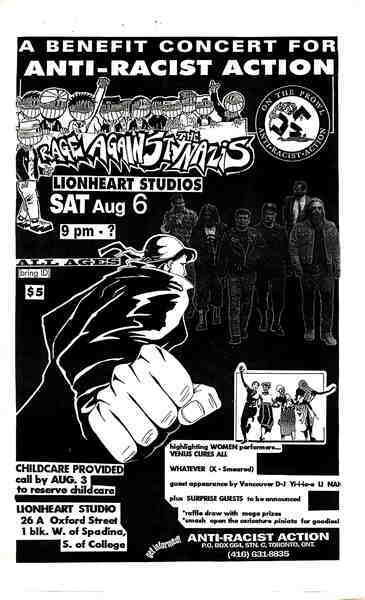 Poster for a Toronto Anti-Racist Action benefit show featuring hip-hop artists KVA and DJs. 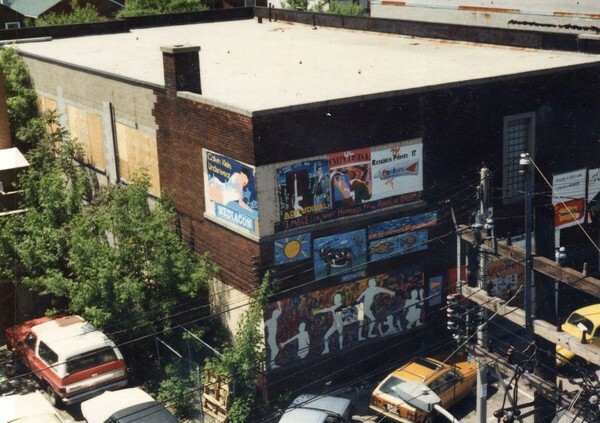 Photograph of a billboard put up after Gardner Myers was killed by police. 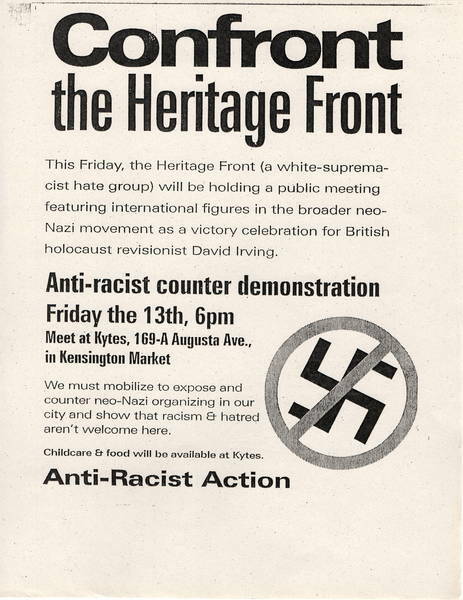 July 1988. 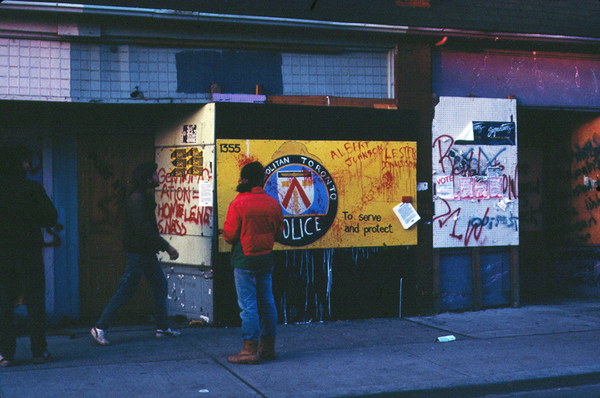 Lester Donaldson's name was added August 9 when he also was killed by the police.